Rushing to load and unload all your stuff in one day? Loading your heavy things up steep truck ramps? The stress of it all? Moving your things twice (into self-storage and out again)? Someone else handling your valuables? Paying a full-service moving company? 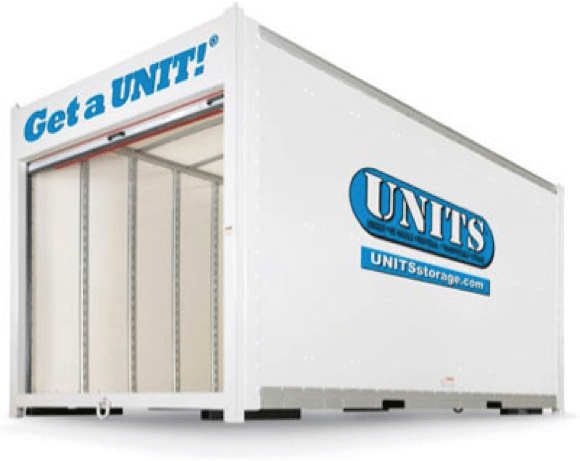 Let UNITS Make your move much easier! Our Moving and Storage containers are delivered when and where you need it. Our new Robo UNIT can deliver and move containers in places other mobile pod companies can only dream of! 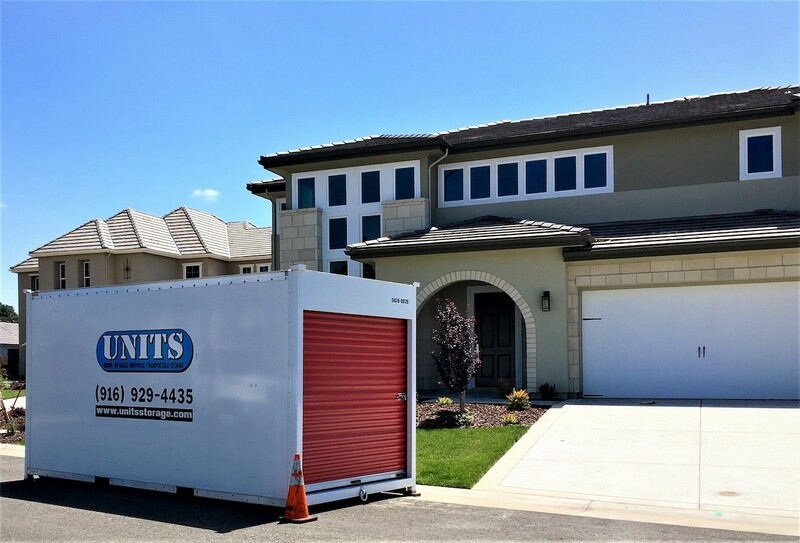 Whether that’s under a carport, behind a fence, inside an apartment complex or alongside your home, UNITS Moving and Portable Storage has got you covered. Traditional moving and self-storage ways of the past were backbreaking and no fun. Having to rent a moving truck or take multiple trips back and forth in your own vehicle was a waste of time. Not with UNITS Moving & Portable Storage. You load your portable storage container at your own pace. If something comes up, lock the storage container and continue when you have the time. 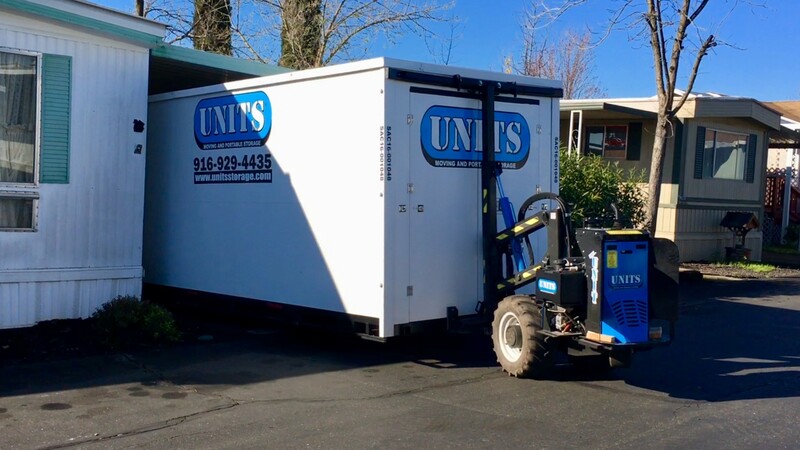 Whether you need your container picked up, moved to another location, or stored inside our secure storage facility, UNITS Moving and Portable Storage of Sacramento has you covered! Need access to your storage container while at our facility? No problem! Just call in advance. Do you need to free up some storage space in your house or garage? 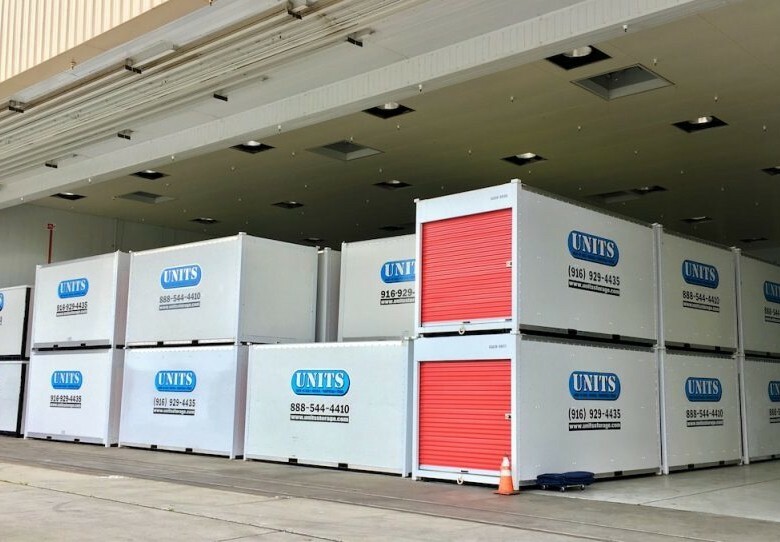 UNITS containers can stay onsite for as long as you need. Need to move across town? We’ll move your container when you’re ready and pick it up when you are finished. Our local storage office is just a call away! Our mobile containers were specifically designed with moving and storage in mind. From the steel framed design, pine flooring and translucent roof, UNITS containers are the industries best from top to bottom. Typically found in semi moving trailers, the “E-Track” system allows furniture and other household items to be strapped in so there’s less chance of moving or shifting during transportation. Utilizing these moving straps minimizes the damage that may occur with other mobile storage containers. 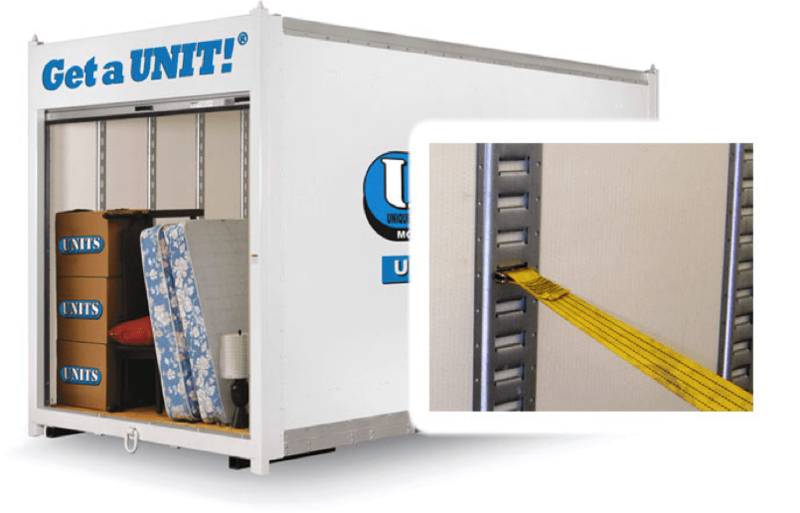 UNITS Mobile Storage rents these straps at a low cost so you want to use them to secure and protect your items. UNITS containers have translucent roofs allowing much more light to pass through than our mobile competition. 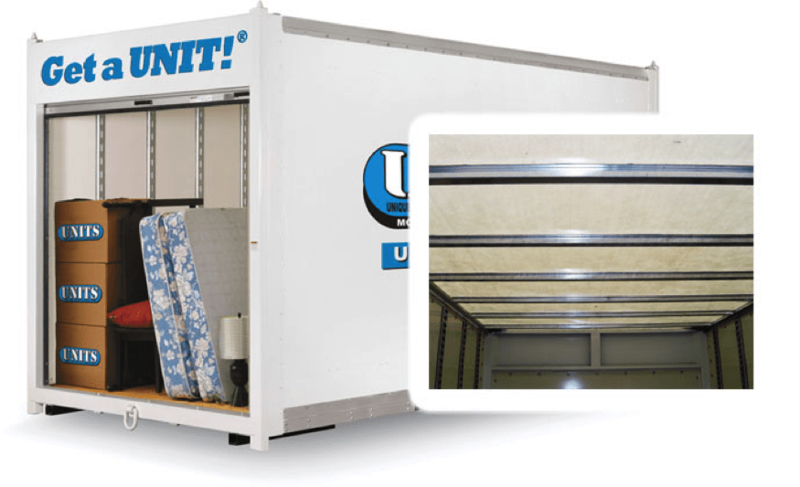 The moving containers roofs are also UV resistant so you won’t have to worry about your items fading. The roof is also bowed in the center making UNITS taller than any other pod container in the market. Don’t get caught in the dark with those other storage companies. With a steel door and steel locking latches, you can have peace of mind knowing your items are safe and secure. There’s a spot to place two locks onto the container’s latch. We recommend and sell the “disc locks” that fit perfectly onto the portable moving container latches and you keep the keys so only you have access to the container. 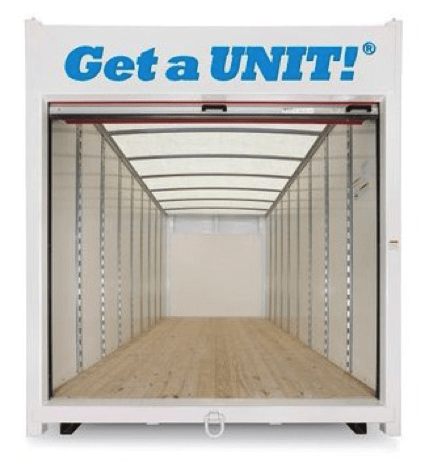 4″ solid pine wood floors – not plywood like some other storage containers companies. The quality of this wood allows the container to “breath” while preventing mold and mildew from forming. We specialize in two very popular sizes; 8 x 8 x 12’ and 8 x 8 x 16’ storage containers. Our 12’ containers typically hold two to three rooms and the 16’ containers usually hold three to four rooms. 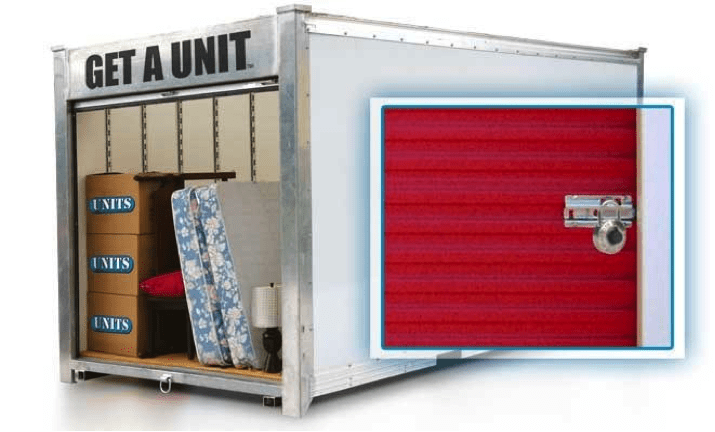 This can vary depending on how heavily furnished your home is and how efficiently the container is loaded. Don’t worry, we will help you decide exactly what containers are right for you. 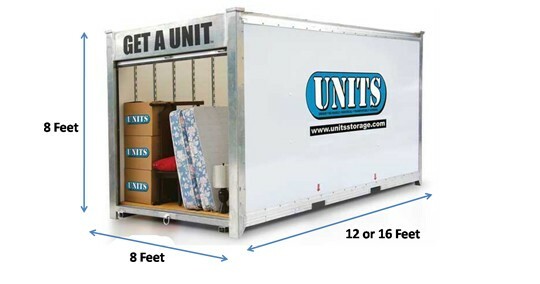 Unlike other moving companies, if you later realize you need additional UNITS containers, we’ll deliver them immediately. Call one of our representatives today and they’ll walk you through the entire process. Clearly Label all boxes so you can identify the contents and keep an inventory. It’s wise not to fill large boxes with heavy items such as books as they’ll quickly become impossible to carry and may break.